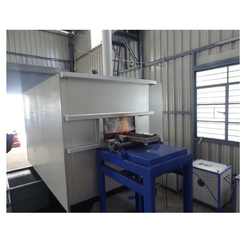 Pioneers in the industry, we offer shaker hearth furnace from India. With the comprehensive industry knowledge of the allied domain, we are engaged in presenting a superior quality range of Shaker Hearth Furnace. The offered oven finds wide application use in conducting synthesis, purification of organic synthesis, and purifications of inorganic compounds. This oven is fabricated utilizing microcomputer digital system, burners; quality approved durable parts, and user-friendly panel.